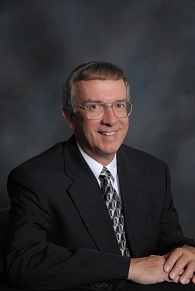 Robert J. Blankman, CPA is a partner of RBSK Partners. Bob specializes in delivering accounting and tax services to individual and closely-held business clients in a variety of industries, including retail, professional services, agriculture, transportation, warehousing, and real estate. As our director of tax services, Bob ensures proper tax return preparation procedures are followed and that RBSK utilizes the best in tax technologies to serve our clients. He invests in ongoing education to stay current on and educate our staff and clients about all tax developments and tax law changes. In addition to being a Certified Public Accountant, Bob has experience as a Valuation Analyst. Bob provides essential valuation services to his business clients for gift and estate tax purposes, buy/sell agreements, or as they contemplate the purchase or sale of a business. Actively involved in his community and profession, Bob is a member of the American Institute of CPAs and The Indiana CPA Society. He has served as a member, officer, director, and committee chairperson of various community groups, including within his church, the Optimist Club, the Chamber of Commerce, the Decatur County Community Foundation, Knights of St. John, the United Fund, and Big Brothers & Big Sisters. Bob is also an accomplished speaker, having presented on a variety of tax-related topics for groups including chambers of commerce, service clubs, and churches, as well as for public seminars and training sessions. He has also authored several tax-related articles that have been published in local newsletters and newspapers. Bob brings significant experience and commitment to excellence to RBSK to make a difference for our clients. To contact Bob, you can email him at blankman@rbskpartners.com or call him at 663-7567, extension 212.